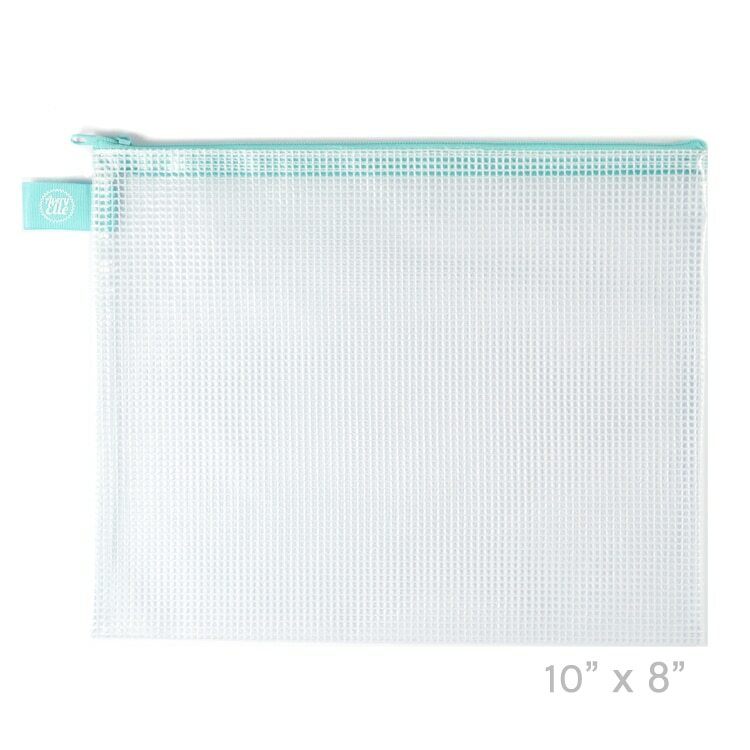 Organize your craft room with Avery Elle's 10" x 8" Small Aqua Zippered Vinyl Mesh Pouches. These pouches are available in two sizes to store and protect scrapbook items, knitting projects, cross-stitch projects, documents, and more...the possibilities are endless. Perfect for taking projects on the go, or storing partially finished items to keep all the supplies in one spot. These pouches are made of clear vinyl reinforced with vinyl mesh and a zipper closure. Their see-through sides make it easy to find whatever is inside and they are water-resistant and durable.